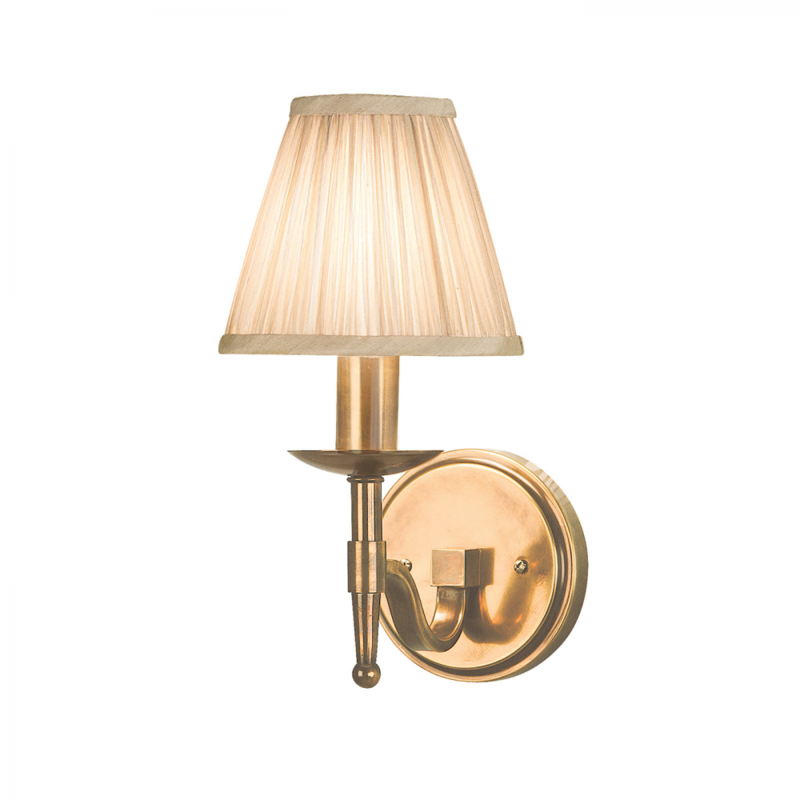 This elegant wall light from the Happy Homewares range has a beautifully curved arm and simple clean detailing. Its complemented by a pretty, beige organza effect shade. Matching items available. 15cm projection x 30cm height x 15cm width. Material: Steel & fabric. Voltage: 220-240V.